A report done by Backlinko shows that longer content tends to have better ranking in SERPs. According to the study, the average length of content on the first page of Google results is 1,890 words. So, wordcount does play a significant role in SEO. SEMrush suggests that the ideal length for the content should be around 2,000 words. However, quality still comes before quantity. If you’re able to provide good user experience (i.e., interesting topics, creative content, useful information or quality products), wordcount would just come naturally. Instead of randomly uploading pages with a lot of words, the search engine giant is looking for pages with quality content, and wordcount is just a reflection of that. Today, checking reviews before buying something online has become a norm. Forbes discovered that 80 to 90 % of shoppers would do so, and this trend is expected to last. Sooner or later, everyone will be searching online before making a purchase, be it product or service. By then, your online presence will become more and more crucial. SEO is going to play an important part for you to draw online traffic and customers. Without SEO, it would be very difficult for your potential customers to find you; they would instead head straight to your competitors. Hence, you should at least secure your position on the first or second page of the search results, or you can hardly be noticed. YouTube is now the world’s second largest search engine, after its parent company, Google. It’s also the largest video search engine in the world, with 1.5 billion active users every month and 6 billion hours of videos being viewed per month. However, YouTube SEO is so much underused. With such huge traffic and user base, this video sharing platform is definitely something worth focusing on to drive the traffic back to your site. Indeed, you can utilise this platform to gain exposure or add value to the community. A blog that provides valuable content like information about their products, services or related industry will definitely be the go-to resource in the mind of their audience in the time-of-need. In addition to that, the more valuable the content, the more favorable you are. Most of the time, marketers only put keyword optimization on their mind and disregard what people are actually typing in the search bar. Casie Gillette, Director of Online Marketing at Ko Marketing states that 50% of search queries are four words or longer. Figuring out the search terms your customers use is the key to optimize your website. Marketers are advised to find out and manage questions most people are asking via Q&A platform like Quora or Yahoo! Answers, then make sure those questions were being answered in your website’s FAQ or blog. Websites that are not mobile friendly annoy users. In today’s digital age, where more people in the world own smartphones than toothbrushes, more and more activities — online shopping, looking for nearby restaurants, product research — are done on mobile devices. As another survey suggests, 40% of users will turn to another search result if the website is not mobile friendly. In other words, if your website isn’t friendly to mobile users, they will skip to your competitors who can provide them seamless user experience. To outrank your competitors, first you should have a business domain that consists of a strong keyword. As shown in a research, businesses with a strong keyword in their company name rank 1.5 spots higher in SERP. The Google’s search engine algorithms is constantly changing. It is reported that Google make alterations to their algorithms roughly 500 to 600 times per year which means that they are making changes almost every day (with most being minor adjustments). Occasionally, there would be major updates, such as Google Panda and Google Penguin. To improve website SEO, marketers should take note when Google releases an update, regardless major or minor, it’s important to understand the changes in rankings and organic website traffic. Facebook’s user base is getting larger with 2.23 billion active users every month and the number is growing persistently. Besides, there are more than 2 billion searches performed on their platform every day, making it one of the most powerful search engines for social network. Just like any other search engine, Facebook has its own search algorithm. Businesses are highly recommended to optimize their Facebook page to boost their ranking. Here’s some tips for Facebook SEO. Hope you find this statistics useful. 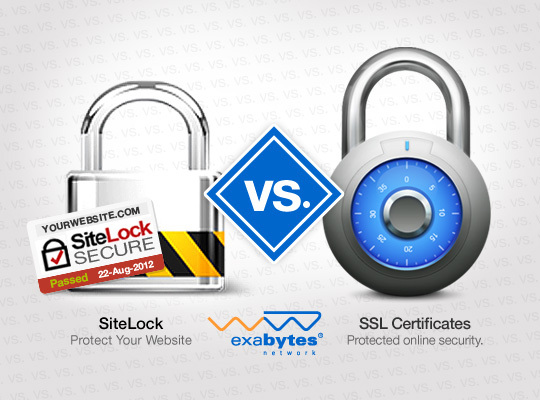 [Infographic] Why Do You Need SSL in 2018?